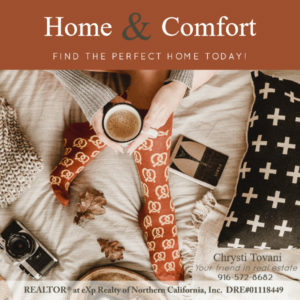 All content of this site is copyright © 2010-2018 Chrysti Tovani – All rights reserved. Commercial use of this website content, including using or distributing photos and written materials found on this site, is strictly forbidden without permission. If you would like to use content from this website, please send your request in writing by email. 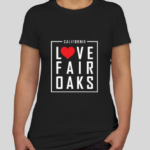 We occasionally accept free or discounted products and services when it coincides with our editorial goals for this website, its blog, or the I Love Fair Oaks brand. Please note: We never accept samples or discounts with the promise of a positive review, and our opinions remain our own. Where possible, affiliate links are used on pages of the website and in blog posts to cover a portion of the operational costs of this site and blog and to help direct our visitors to the sources where they may find more information or the products or services recommended here. We encourage our visitors to keep these realities of funding “free content” in mind when visiting all websites and blogs and hope to continue providing helpful information and insightful recommendations at no cost to readers and with no subscription required. Any sponsored posts in the I Love Fair Oaks blog are noted as such. Because we value your privacy, we have taken the necessary precautions to comply with the California Online Privacy Protection Act. We, therefore, will not distribute your personal information to outside parties without your consent.